A while back, I attended Sisley Paris' launch of Sisleya L'Integral Anti Age Firming Concentrated Serum and Anti-Age Velvet Nourishing Cream with Saffron Flowers. Both products will launch in November 2019 - just a couple of sleeps away until you will be able to try these luxurious products for yourself! The launch was one of the most educational and remarkable launches I have been to, to date. Before I even think about trying new products I want to know what is different about a product when compared to the wider market, this will determine my interest to initiate the trial. When a product is like 10 other creams I have at home, I tend to put it away for later. But when a product incorporates Epigenetics, I am interested! Sisley Paris invited UNSW genetics professor Dr Youngsen to talk to us about Epigenetics - a term I have never heard of before. I studied two terms of genetics back at university and had a fair understanding of DNA structure etc. It makes sense that the lifestyle and behavioural choices we make (i.e., diet, sleep, exercise, self care etc) can impact our DNA and affect not only our health/wellbeing/disposition but those of our children, children's children and so forth. This incredible range from Sisley Paris is formulated to re-work and re-activate cells that had suffered from our poor lifestyle choices. This is a game changer! Keep reading for a little introduction. This is a highly concentrated serum that will make your skin is visibly firmer and plumper after 2 months of use. Firmness will be restored with Phyto-complex Pro-Firm 7, a unique plant based extract. Your skin will be boosted with Sweet Marjoram extract, an active ingredient to boost skin's firming potential. The product is extremely hydrating, light weight with silky texture and absorbs extremely well. Instant plumping was noted on my dry dehydrated hands following use. However you will need continuous use for the best, long term results. This is a dual purpose nourishing day and night face cream that can be used after the serum; it works to protect the skin during the day and restore your skin at night time. The cream will help to allow your skin to become more resistant; during the day active ingredients such as Buckwheat seed extract helps to protect the skin and during the evening, shea butter will assist with repair. Saffron flower extract will optimise and sooth dry/coarse skin. Get ready for your ultimate smooth and plump complexion! A trio of oils that is rich in omega 6,7 and 9 will nourish and hydrate your skin intensively. However, rest assured, the product is not oily nor heavy. The cream possess a velvet texture as per most Sisley Paris skincare products. This particular cream will give you a full sensory experience with notes of honey and orange blossom. 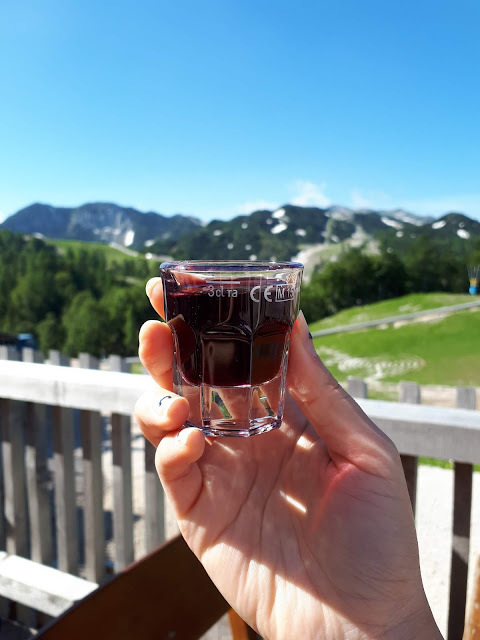 During my trip with Trafalgar, we visited Slovenia, a hidden gem - picturesque scenery, beautiful food and hilarious locals full of sarcasm who will feed you shots of schapps in the morning. Slovenia was my highlight during my trip throughout the former Yugoslavia, mainly because I didn't know what to expect and BAM, serenity. 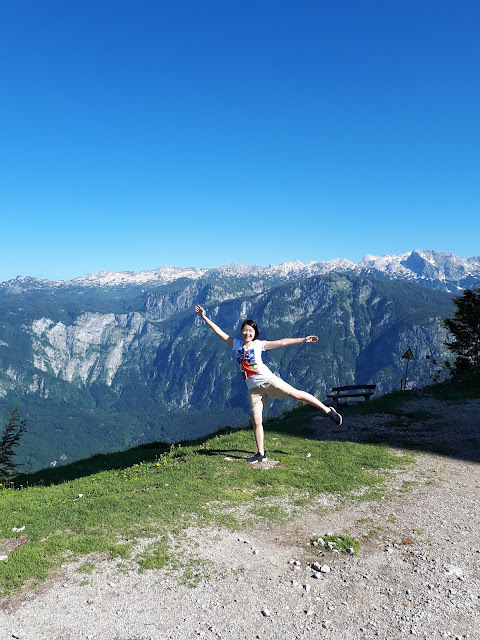 Slovenia is slowly being discovered by tourism so get in quick! Also important to note that NONE of the photos below are photoshopped or touched up. I had to increase the contrast of the photo above for Lake Bled due to terrible overcast. I hate seeing heavily edited and photo shopped travel photos in blogs cos when I go there, it looks nothing like the photo. So whatever you see below are untouched with natural lighting taken on my Samsung mobile. 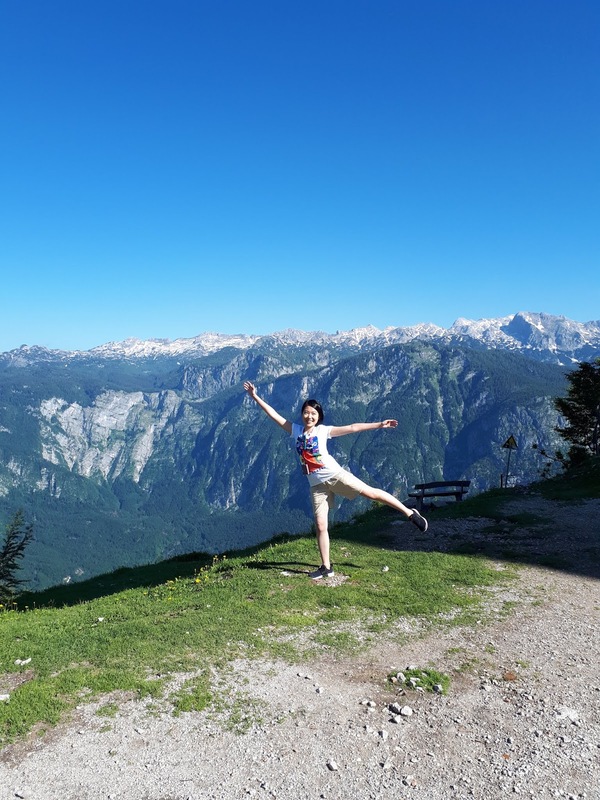 We took a cable car to Mount Vogel early in the morning, the mountain is 1922m high (our cable took us to about 1600m) and a part of the Julian Alps. Even though it was Summer in Slovenia, the snow caps were still visible. The view was breathtaking. In case you are curious, skiing is available during winter. There is a paranomic restaurant aligned with the cable stop. We didn't dine there but we sure got a shot of blueberry schnapp (pic above) to help with the chilly breeze up on the alps! 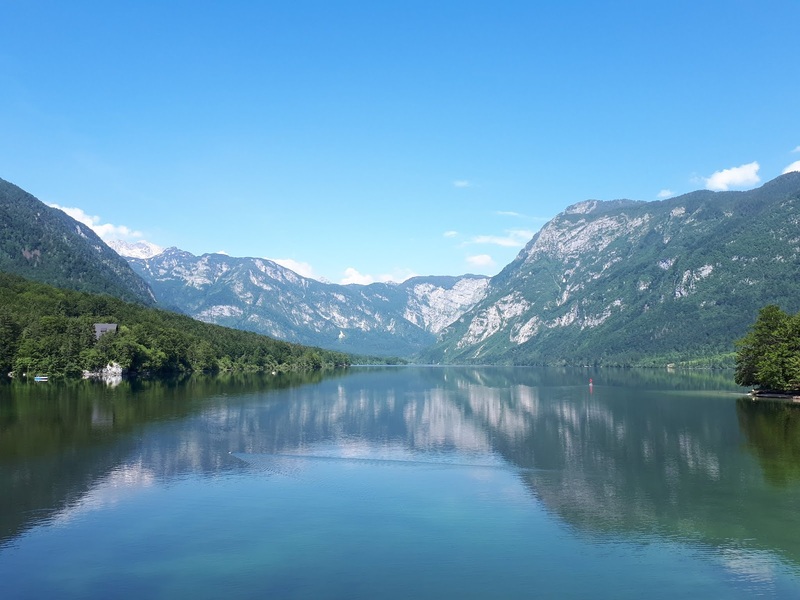 This is the largest permanent lake in Slovenia, it's a 5 minute drive from Mt Vogel - if you are travelling to Mt Vogel you will pass Lake Bohinj. I didn't see any public transport in this part of Slovenia, so driving or going with a tour is your best bet. We saw lots of camps set up close to the lake. This view is a slice of pure paradise, we spent quite a bit of time here and didn't want to leave. We also saw a lot of trouts swimming in the crystal water. Our accommodation was in Lake Bled (Park Lake Bled Hotel), heavy overcast on the first day but it quickly cleared up. 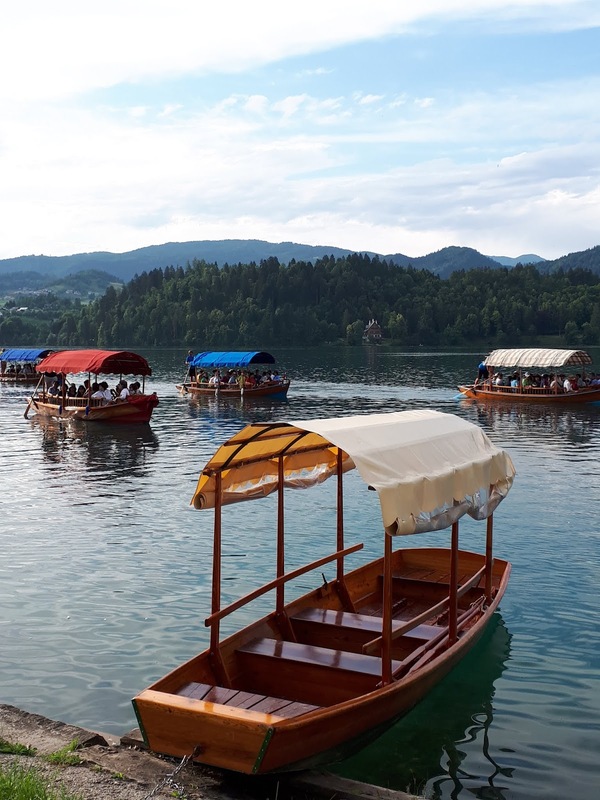 There were an abundance of tourists sitting by Lake Bled as well as holiday goers from nearby cities/countries. We saw a lot of people sun bathing and swimming by the lake. The lake freezes during winter allowing guests to walk across the lake to explore the medieval bled castle by foot. 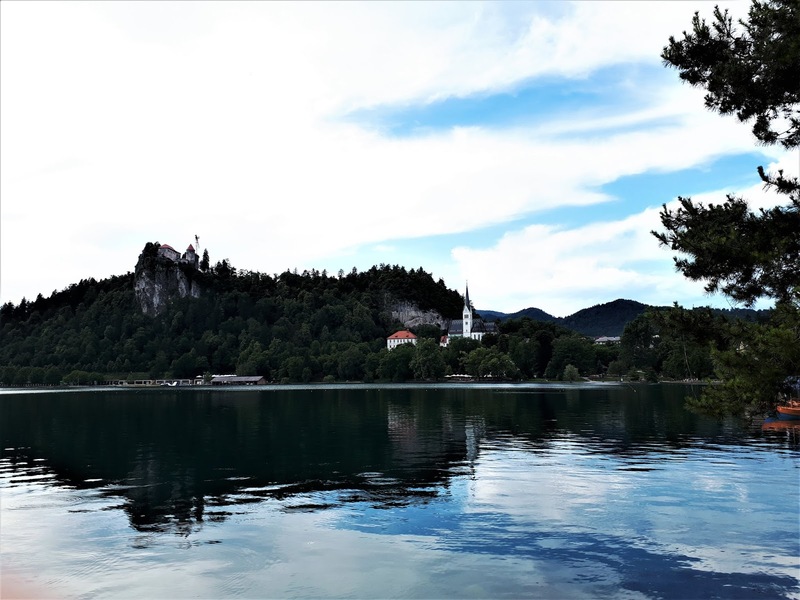 You will get a grand view of Bled from the castle and bell tower. There is an entry fee. Ljubljana is the capital city of Slovenia. 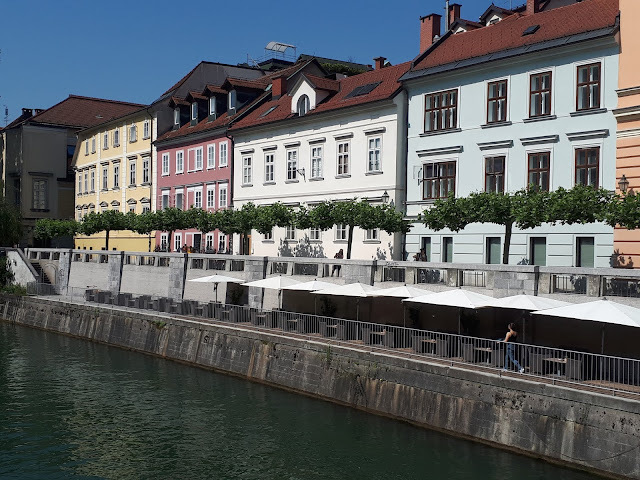 We strolled around the city and markets, the cafes served baked goods, coffee and sandwiches (all very very affordable). At the market, you will find fresh blooms, fruit and vegetables. There were also a lot of university students in Ljubljana, apparently students make up 1/7th of the city population. There is public transport in Ljubljana, you can also rent a bicycle to explore the city. 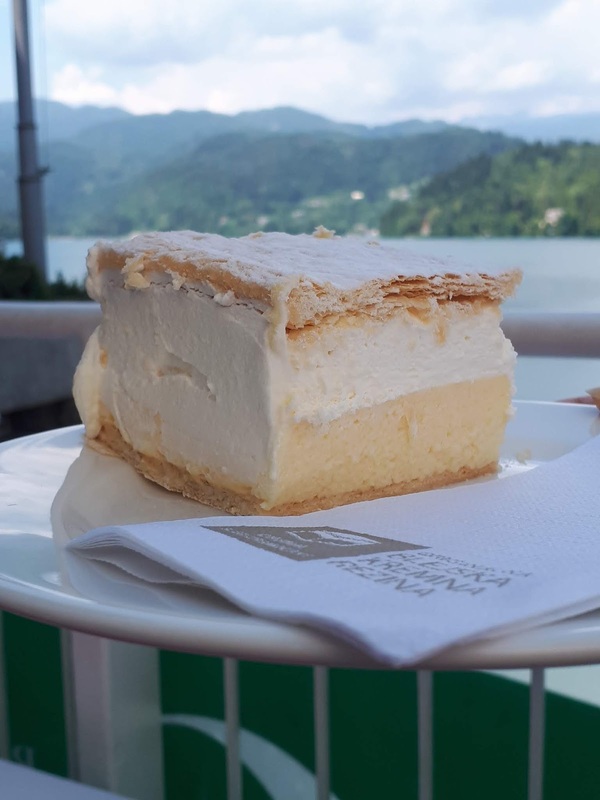 The infamous Cream Cake of Lake Bled is readily available around bled - A layer of crispy golden crust, a generous layer of cream followed by another generous layer of custard sitting on a crispy layer of thin buttery dough. It was heaven.We got ours from Restavracija Panorama, just a short walk from Park Bled Hotel. We didn't get time to go to Okarina but it was highly recommended and loved by Paul McCartney. 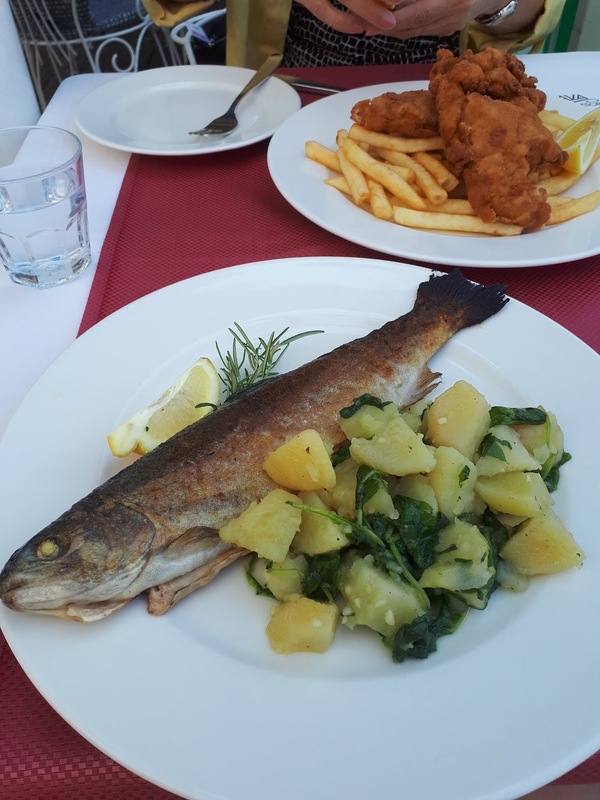 The other thing that was mesmorising was their trout. Freshly caught, tender and flavoursome with a side of buttery garlic potatoes and spinach. If you a seafood lover you will love this.